Drinks brand HEINEKEN has chosen agency Corporate Events to deliver its annual conference, which will take place at Manchester's Victoria Warehouse. The two-day sales conference starts tomorrow (20 January), with more than 400 delegates due to attend the conference and festival-themed dinner. This will be the first time that Manchester has hosted the annual event. Chelsey Wroe, commerce communications manager at HEINEKEN, said: "Victoria Warehouse provides vast versatile space to bring our ideas to life for our sales conference. 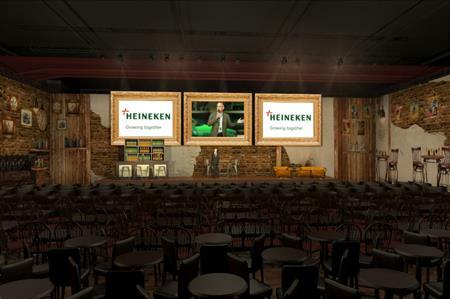 As a valued customer of HEINEKEN we are delighted to support its conference and events business." Kayleigh Brindle, sales director at Victoria Warehouse, said: "We are delighted to welcome HEINEKEN. With flexible space and the capacity to host up to 1,600 delegates in The Cotton Sheds, we really are an ideal venue."